Today, there are fewer boundaries defining what jewellery is men’s and what jewellery is women’s than there have been for the last half a century. For example, recently we’ve seen the popularity of the male choker, which has previously been considered to be exclusively ladies’ jewellery. Traditionally, jewellery items like: signet rings, tie clips, and cufflinks have always been considered to be men’s jewellery. Today, we’re focusing on what is possibly the most popular item of men’s jewellery: cufflinks. Cufflinks are essentially an alternative for the buttons on cuffs of shirts. Many shirts, especially ones made for more formal occasions, will be made with no buttons on the cuffs, and instead have two small holes to allow for cufflinks. Cufflinks offer more of a contrast than just having buttons on a shirt, and also allow the wearer to show off a bit more of their own personality and style. Wearers can take this even further by wearing dress sets, which not only include cufflinks but also collar studs and sometimes tie pins. 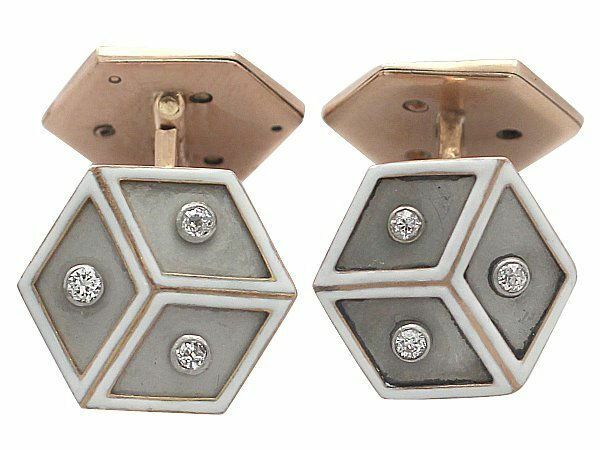 Although there has been evidence of the first cufflinks dating back as far as the 15th century, they did not become common until the end of the 18th century. Moving into the 19th century, the middle class grew, and more men began to wear a more conventional wardrobe: a suit by day and a dinner jacket or tailcoat jacket in the evening. By the middle of the 19th century, cufflinks had become very popular and every man in the middle and upper classes wore cufflinks. The industrial revolution meant that they could be mass produced and therefore available in a wider price range. Gemstone and coloured cufflinks were only worn by men with lots of self-confidence! It was Edward VII (Prince of Wales at this time) that popularised coloured cufflinks by wearing colourful Fabergé cufflinks. 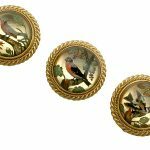 During the early to mid-20th Century, cufflinks were more sought after, and so designers had the freedom to experiment with different styles and designs. 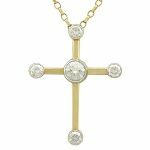 They started becoming available in many different materials and colours, using precious stones as well as semi-precious stones and cheaper simulants. 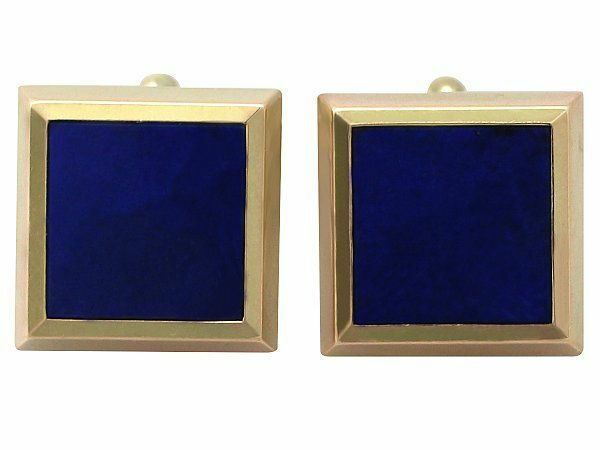 Coloured enamel cufflinks featuring intricate – often geometric – designs were very popular at this time. On the other hand, this was also around the time that a new, sportier style of shirt with unstarched cuffs that could be fastened with simple buttons became available. As the world’s economy started to recover from the shortages relating to the Second World War, gentlemen of the period liked to adorn themselves with a range of different accessories. 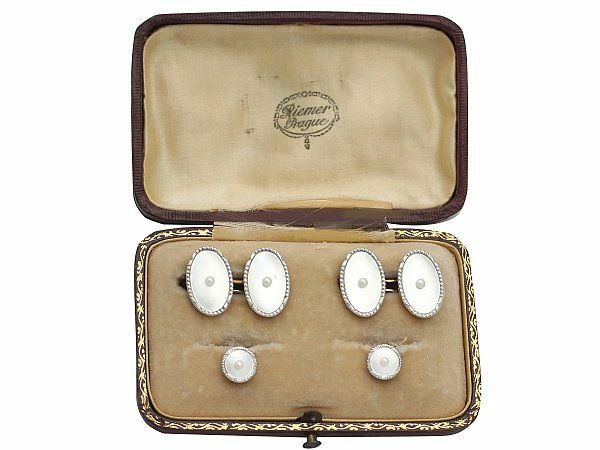 Such items included: cigarette cases, lighters, tie accessories, wristwatches, signet rings, and of course an extensive assortment of cufflinks. During the 1970s, the popularity of cufflinks took a dip as a more casual style became the desired fashion. This meant most shirts were made with buttons on the cuffs, rather than holes left for cufflinks. Many heirloom cufflinks were also made into earrings, rather than being worn as cufflinks. It was then in the 1980s that cufflinks started to make a comeback in traditional male dress. This has continued through to today, with more cufflink types and styles available for men and women than ever before. Cufflinks can be made from a variety of materials; here at AC Silver, we specialise in fine cufflinks made from gold or platinum, both with gemstones and without. But you will also find there are options in less expensive metals, such as silver or titanium. 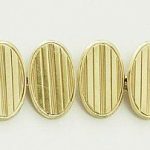 You may also find cufflinks made from knotted silk or soft cord, which are the most affordable choice. They are easily the least durable, however, and this style is mainly preferred as a more casual choice. The two most common styles of cufflinks you will see are bullet back cufflinks and whale back cufflinks. Bullet back cufflinks are one of the most common types of cufflink you will come across. This is due to their durability and how easy they are to use. Rather than have a solid post, they have a hollow frame with a small bar or tube of metal that sits inside the frame. The tube can then rotate at a 90 degree angle, allowing the cufflinks to lock, and leaving the hollow frame as the post. Due to their design, bullet back cufflinks only have one decorative face, while the back is just the simple tube of metal. Whale back cufflinks have a flat head with a solid, straight post. There is a ‘whale tail’ at the end that flips completely flat against the post. Like the bullet back cufflinks, the whale back cufflinks are very easy to use and very durable; this is what makes them a popular choice. 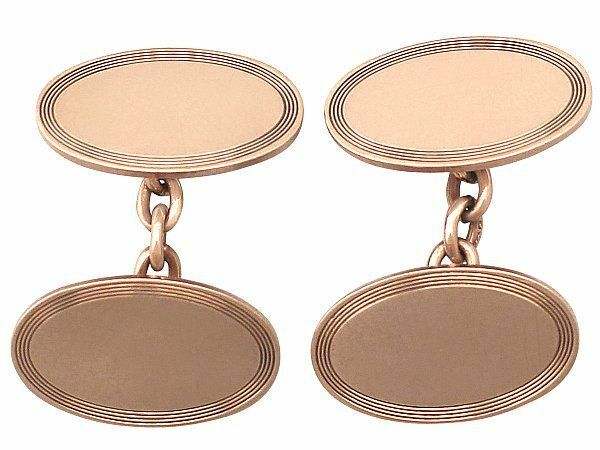 Other types of cufflinks include chain link cufflinks, which have two decorative faces, usually identical, and are connected with a short length of chain. They are a looser fitting than other fastenings available, and are the most traditional style of cufflinks. 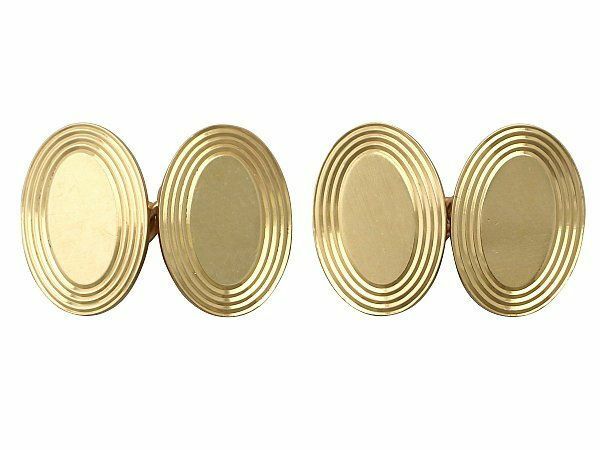 There are variations on the chain link cufflinks where a small, thin rod of metal is used with the two faces attached loosely at the ends attached with jump rings. 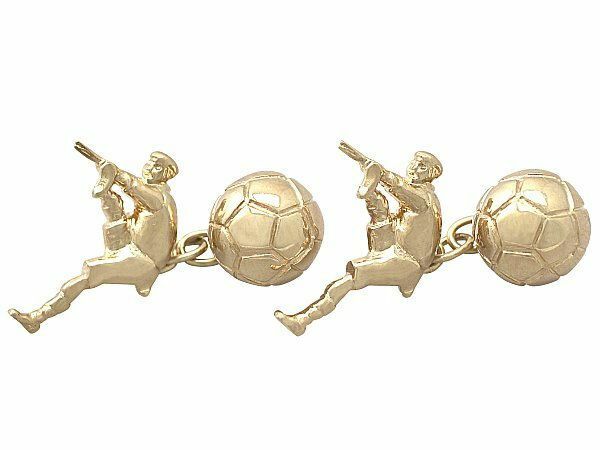 Ball Return cufflinks have an arched post with a small, heavy ball of metal on one end, and the decorative face on the other. They provide a slightly looser fastening than hinged cufflinks, but a slightly tighter one than chain link cufflinks. They can be an expensive choice if they are made from precious metals, due to the size and weight of the ball, adding to the material cost of the item. The ball can sometimes be decorated with a small symbol, or it can be left plain. Stud or button back cufflinks have no moving parts, like many of the other styles, and instead have a large, decorative face attached to a small, solid post, with a smaller head or backing on the inside. They are put into place by tilting the smaller head and working it through the button holes. 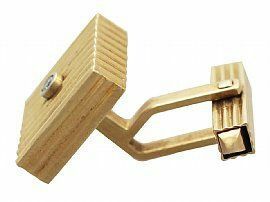 Once in, they tend to be secure, and as there are no moving parts that could possible wear over time, they are a durable option. 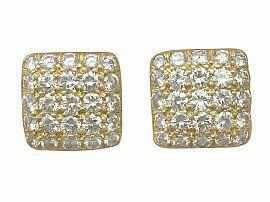 Dual-action cufflinks are a contemporary style of cufflinks that work like a clip, or the fastening of a wristwatch. 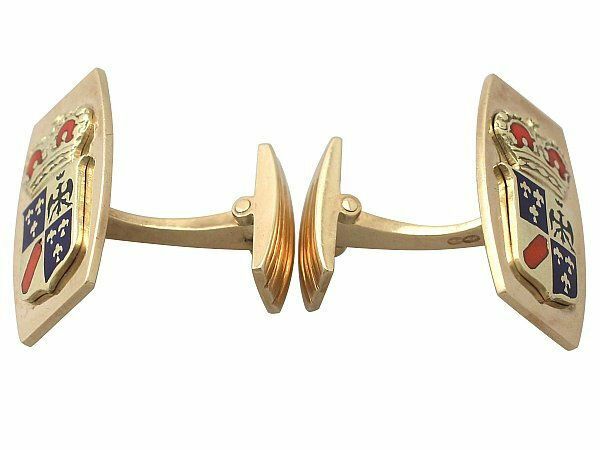 The cufflink has a hinge in the middle that allows them to slip into the buttonholes, and clips shut to hold the cuff together. There are two ways in which you can wear cufflinks, ‘kissing cuffs’ and ‘barreled cuffs’. The first way, ‘kissing cuffs’ is by far the most traditional. 1. Make sure that the bar of the cufflink (if it has one) is pointing straight down to make it easy to inset. 2. Line the two holes up, by pinching the cuffs together. 3. Simply slip the cufflink into the two holes with the decorative face pointing up. 4. Twist the small bar back into the horizontal position (if there is one) to lock the cufflinks and stop them from slipping out. The exact same technique works with single cuffs or double (French) cuffs as long as you line up the hole correctly. The second technique would be the more casual option, as it also makes the cuffs appear thinner, giving the shirt a sportier look. The main difference is that rather than pinching the cuffs together to align the holes, the wearer should place one cuff on top of the other and line the hole up (so that it would fasten as it would if there were a button attached). This is more of a contemporary way to wear cufflinks, and it can look great with slimmer fitting shirts. 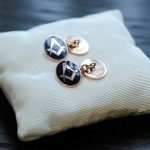 Although cufflinks are often seen as more of a formal piece of jewellery, this doesn’t have to stop you from wearing them every day if this is what you would like to do. More men are becoming style conscious, and enjoy showing off their personal tastes when it comes to fashion. 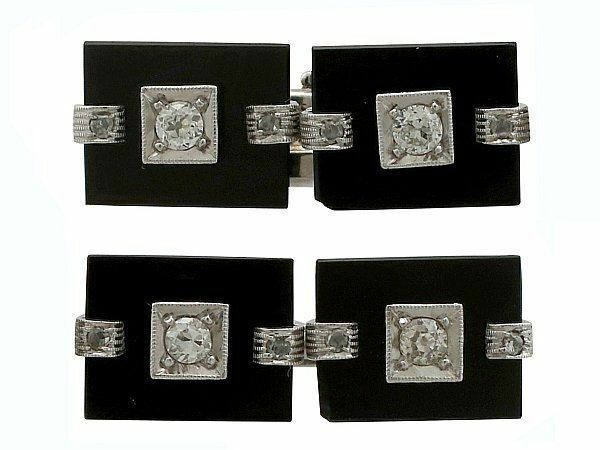 Cufflinks are a great way to show some originality. With so many styles and colours available, it is easy to change the look of a shirt or entire outfit with little effort. However, there is always a time and a place for showing off the best you’ve got, such as birthdays, family or office parties, or really any event that calls for more formal attire is the perfect occasion to show off your more dazzling cufflinks. There are no set rules as to when the right time to wear a certain style of cufflink is, so it really is down to the wearer. 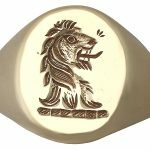 Novelty cufflinks are very popular, and give people the opportunity to express their interests through their accessories, making cufflinks the perfect choice for everyday and formal wear. With so many different styles and choices out there it is easy to see why the fashion of wearing cufflinks has really stood the test of time! Whether you are looking for yourself or for a gift, we have no doubt that you will find the perfect pair of cufflinks with all the choices available. This traditionally male fashion accessory can now be worn by anyone for any occasion, so why not really show off your personal style? Next Entry: What is a Coffee Urn?